This was the album I most eagerly anticipated of 2018 without even realizing it. 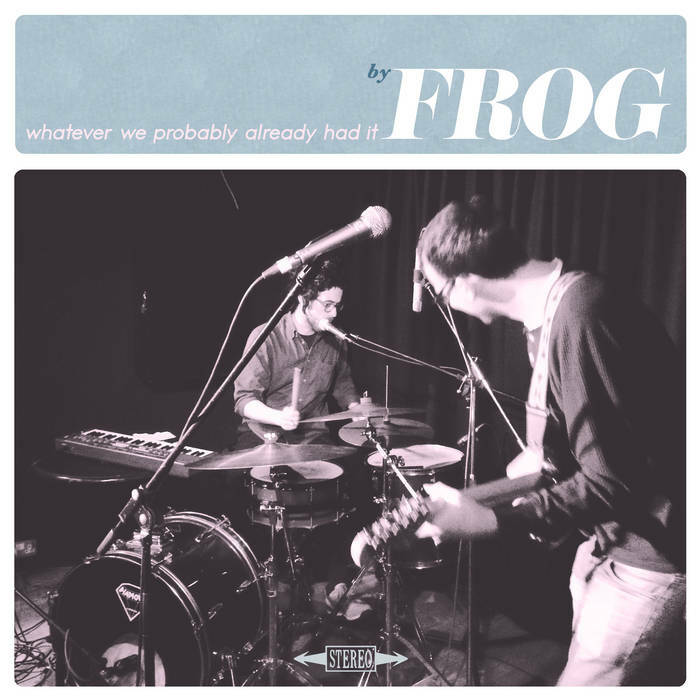 That's because I didn't know frog was back in the studio; but every time I listened to their 2015 masterpiece Kind of Blah I wondered what they were up to. Not like I had to dig too deep -- by a strange coincidence it turned out they work at the same tech company as one of my good friends. I'm happy to say that Whatever is more of the same: sweeping songs with lyrics that feel off-the-cuff and otherworldy -- but with just enough detail to keep you grounded to the bleak concrete of New York City and its sterile suburban environs. Take, for example, "God Once Loved a Woman," -- a killer phrase in and of itself. Did you know that you are the guardian of a part of my life that I had forgotten? It isn't so much the good old days as anticipating when even the worst sludge of daily life today becomes precious. It takes a little digging, but that seems to be the biggest lesson from frog's seemingly blase attitude -- one that's belied by their careful attention to detail in their lyrics and in the way they move through the world. Thanks for reading! Help Von and Rachel share great artists like frog with the rest of the world by dropping a tip on our Ko-fi cup or subscribing to our Patreon! Subscribe to the Adobe & Teardrops podcast to listen to more of frog's music as well as lots of other Americana and roots artists!